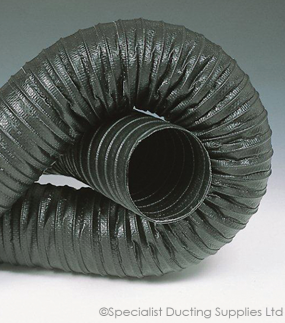 Flexflyte Super is a highly flexible ducting made from a 2 ply wall of Thermoplastic rubber reinforced with axial and helical yarns and supported by a thermoplastic coated spring steel wire helix. -40°C to +135°C in a 20°C ambient. 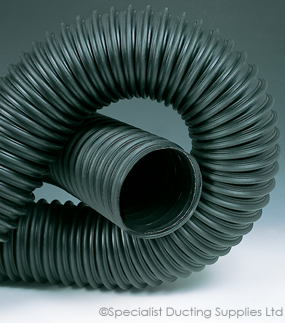 Air handling, automotive engine air intakes, fume removal and air conveyance. Good resistance to many oils, greases, solvents and industrial chemicals in the vapour phase at moderate concentrations. 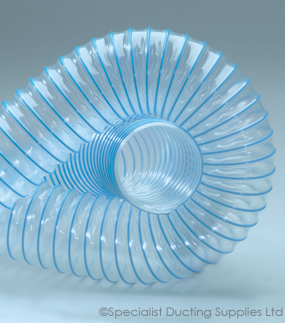 A range of injection moulded end cuffs are available for applications which require security of attachment or a leak tight seal. 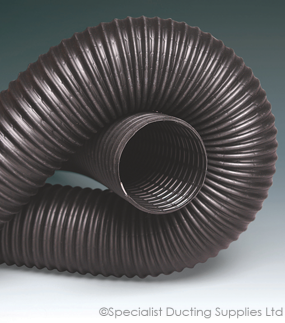 Medium weight, 2 ply wall construction makes this ducting highly flexible and easily compressible. 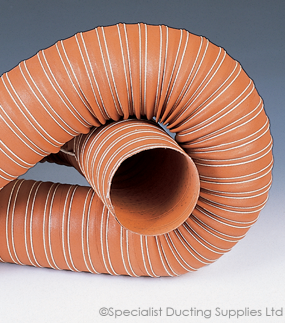 Flame retardant to UL94HB and MVSS302 <100mm per minute burn rate. Supplied complete with injection moulded cuffs.